Everyone’s timeline for concussion recovery is a bit different, but there are some general rules that will help you return to regular life safely. Using the sleep, energy conservation, relaxation and nutrition strategies from the beginning of your recovery process will provide you with the tools and skills necessary to let your brain recover, and make it easier to begin reintegration into school and then sport. 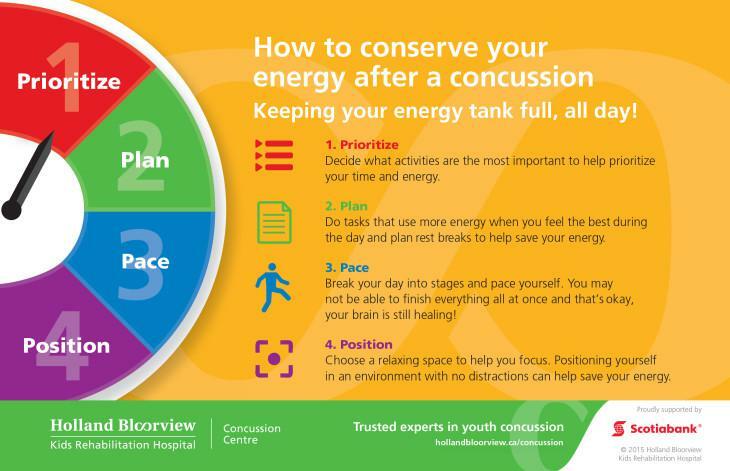 At Holland Bloorview we recommend that you successfully return to school without post-concussion symptoms before you move on to returning to sport. This will reduce your chances of re-injury by moving you through the stages of lower risk to higher risk activities in the right order. How do I conserve energy? You can conserve your energy by using the “Four P’s” – Prioritize, Plan, Pace and Position. The diagram below explains the Four P’s. 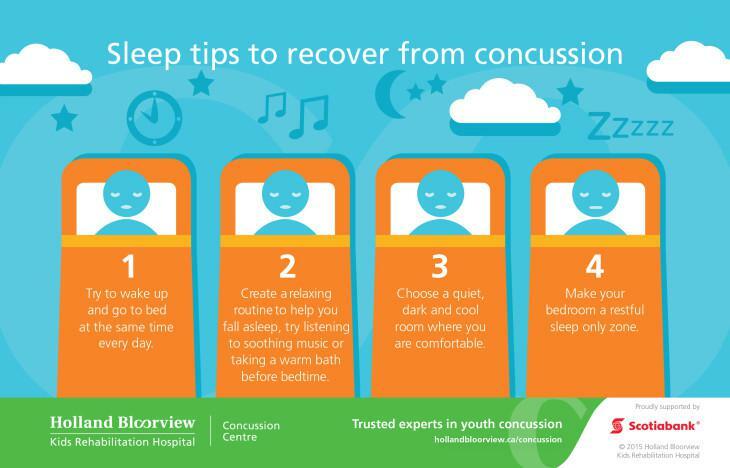 After you’ve had a concussion, getting enough and good quality sleep is one way to help your brain recover so you can return to your daily life and go back to the activities you want or need to participate in.